Welcome to the party O2. You’re a tad late, but if you’ve brought some champagne we’ll let you in. 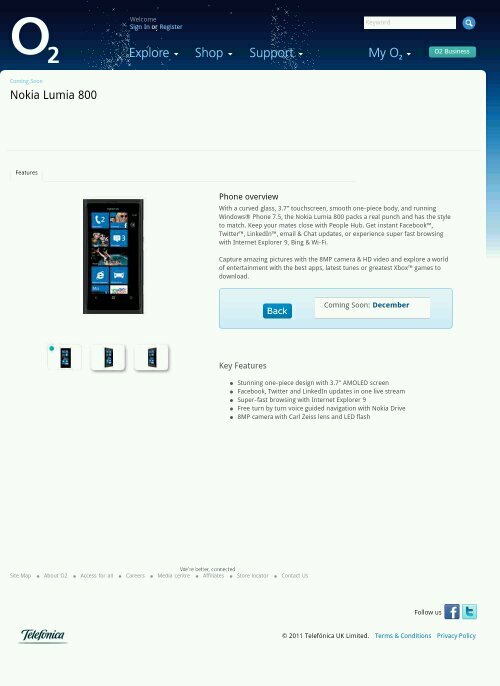 Yep, a number of weeks after the other networks added it, O2 have finally plonked the new Nokia Windows Phone on their site. We’ll have a thorough review of the device up soon, but if you’re looking for the Lumia then it’s yet another UK network to choose from. Well, it will be when it comes off the O2 “Coming Soon” pages. Asus Transformer Prime gets another new promo video.